Compost your old organic waste directly in the soil. Recycle the nutrients from your old plants and energize your soil for the following growing season. If you aren’t already using GardenRecycle give it a try today. 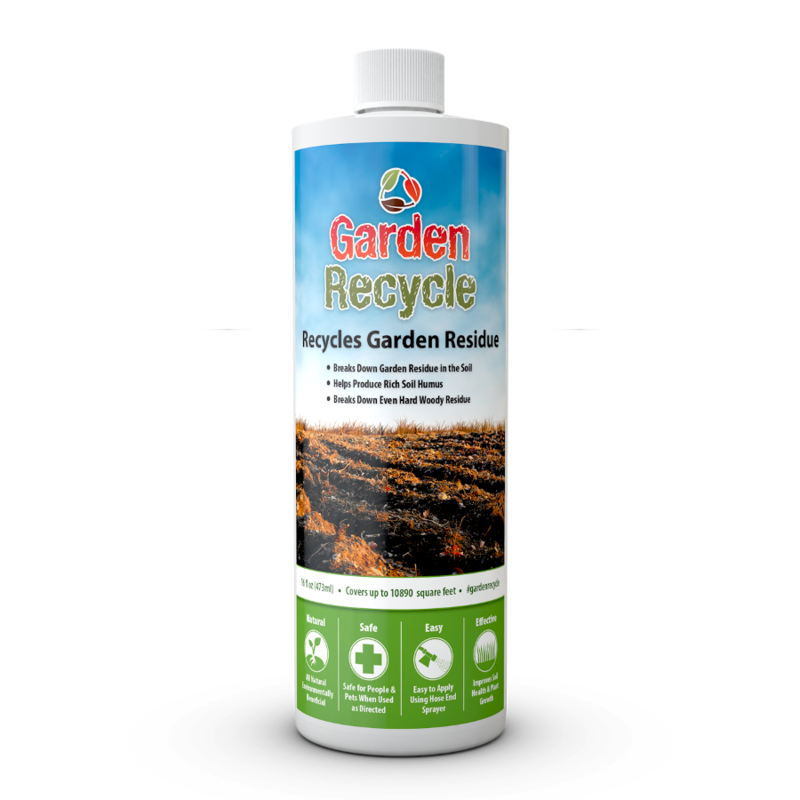 GardenRecycle™ works to break down old plant residue in the soil without the unpleasant odor associated with piles of compost. 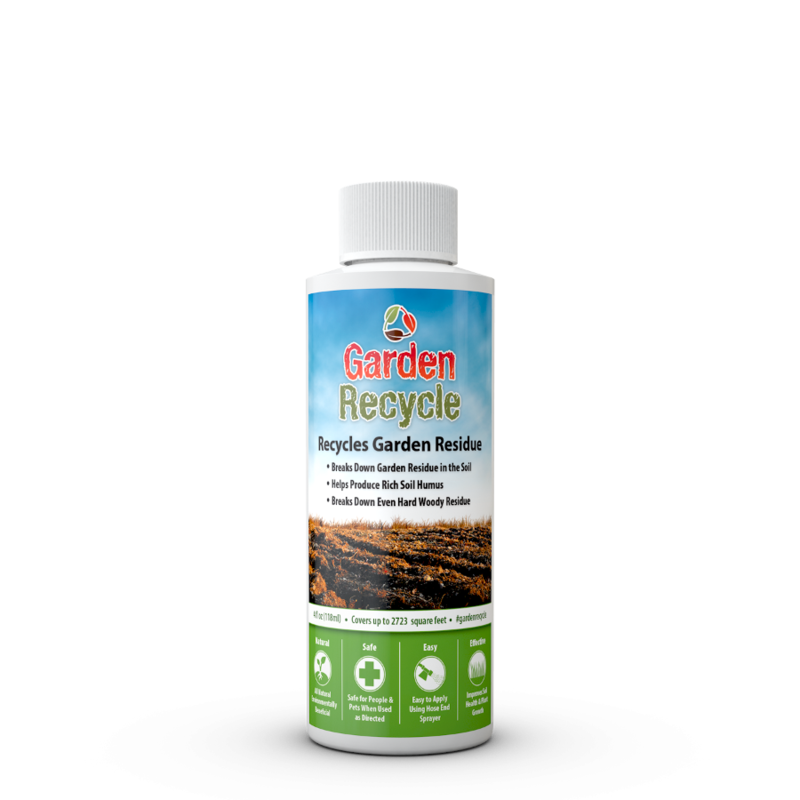 GardenRecycle™ recycles nutrients and energizes the soil from that material. It can break down leaves, grass, and other fleshy organic residue. It can process about 80% of hard organic residue between growing seasons such as chopped up plant stalks, stems, and wood chips and finish the job during the following growing season. GardenRecycle™ can help you achieve more abundant plant growth by recycling old plant material to form organically rich soil. Each ounce covers up to approximately 680 square feet. Don’t worry about exact measurements. Several times the normal amount can be applied without any adverse effect. 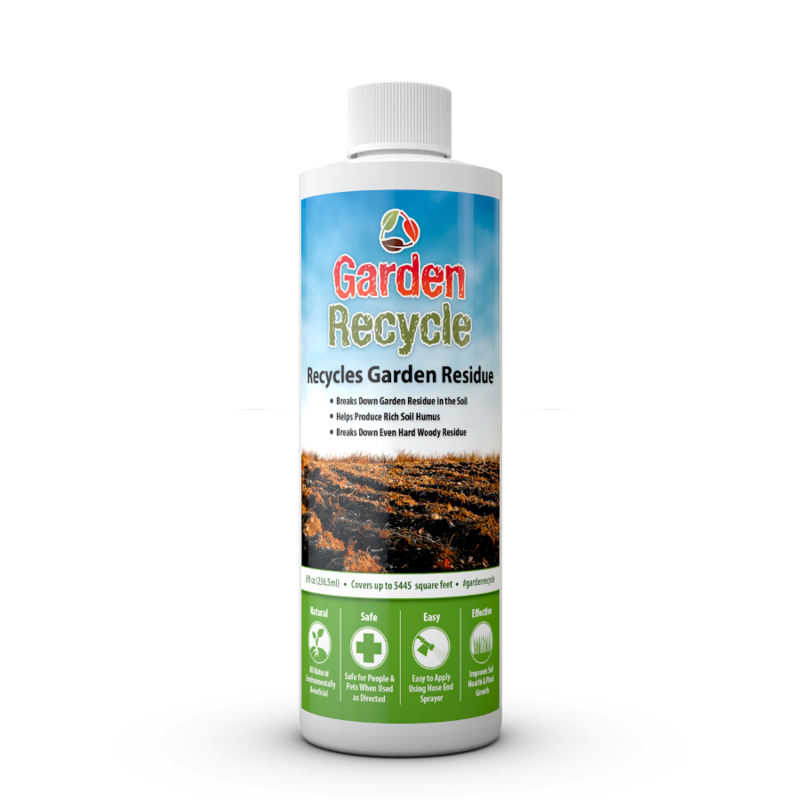 Till your plant residue and any other organic material available such as leaves, twigs, grass, wood chips, compost, etc. into the soil before applying GardenRecycle™. Make sure the organic material is completely covered with soil. Organic material must be in contact with the soil for the biological breakdown to occur. 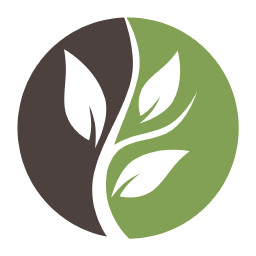 Any part of the organic residue that is not in contact with the soil will not be broken down. 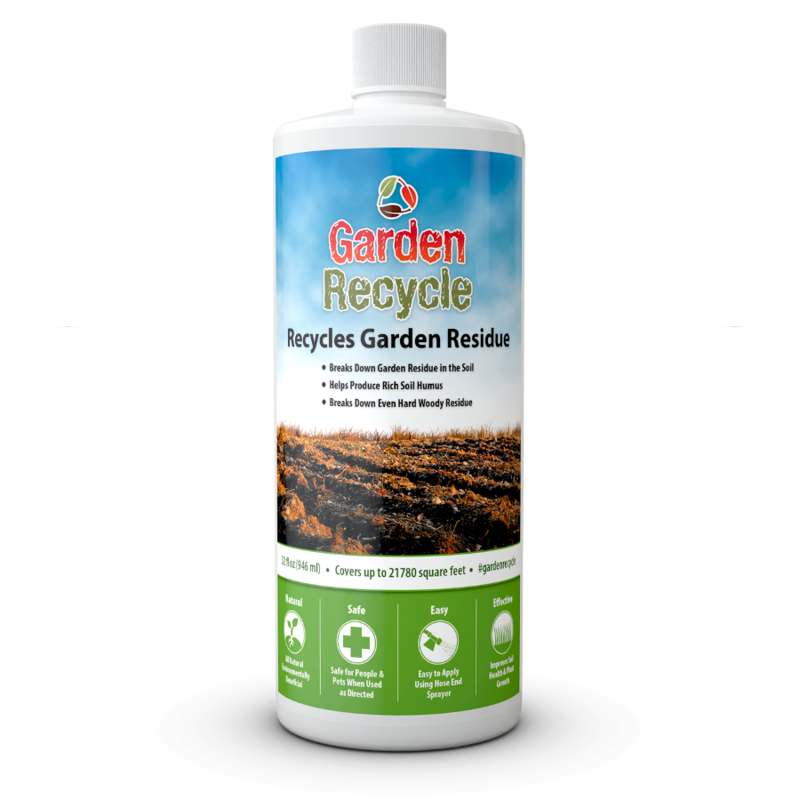 Apply 0.15 oz (4.4 ml) of GardenRecycle™ per 100 square feet of application area at the end of each growing season. 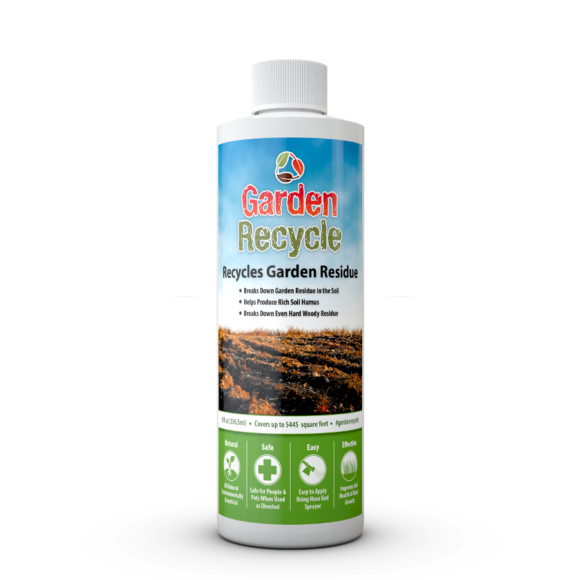 GardenRecycle™ is applied based on ounces per square feet not ounces per gallon.Preparation: Measure the square footage of the area you are treating. 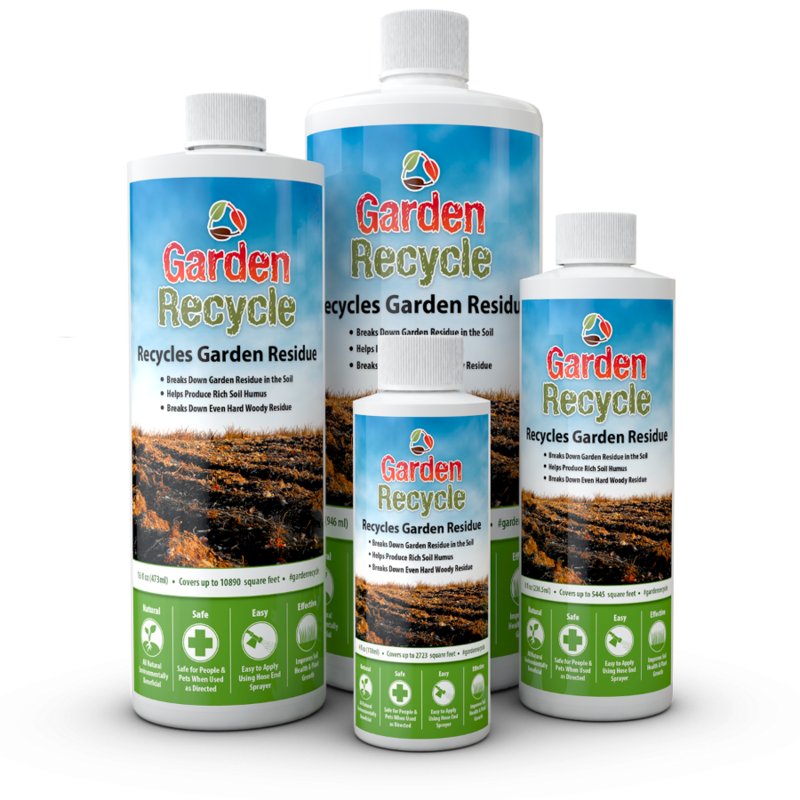 Undiluted GardenRecycle™ can be stored for up to 60 months in a closed upright position near room temperature.